With locations in several of Portland's bustling neighborhoods, Boxer Ramen is a favorite noodle spot and local hangout. We developed a robust identity system that could easily be used across digital and physical spaces. 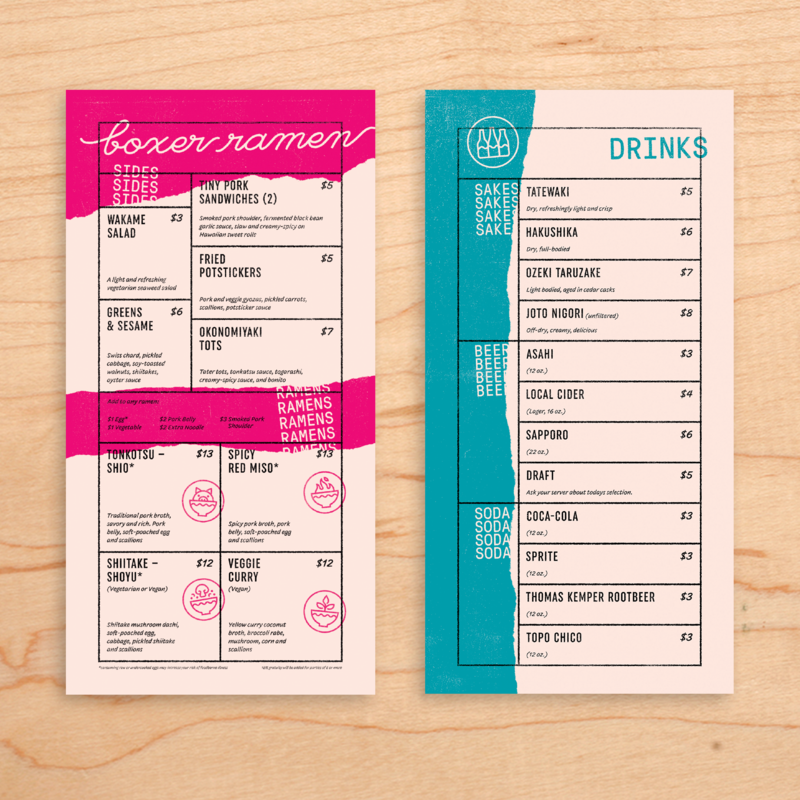 Inspired by ramen, iconography and patterns reference ingredients and flavors that define their dishes.